Oxygen transport to the myocytes has been recognized as a factor of utmost importance to cardiac metabolism and control of blood flow for many decades. On a macroscopic scale, the problem seems simple since supply and demand are normally matched, as discussed in Chapter 9. 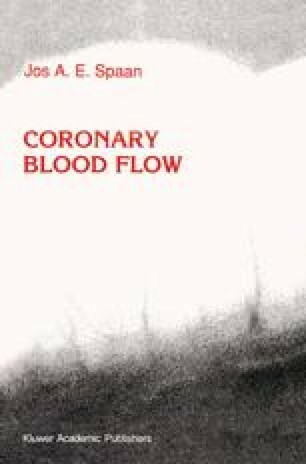 However, as discussed in Chapters 1 and 3, both flow and oxygen pressures may vary widely in the myocardium at the microscopic level and in tissue units of milligrams and grams.